The 18e Regiment de Ligne is a regiment based in both EU and NA which has the goal of becoming one of best regiments around but yet again, We also want to create a laid back and chilled atmosphere for everyone to enjoy the community. The community itself has been around since the Summer of 2011 although have only been linebattling since october 2013. One thing i do try to make sure is that during normal events we are chilled and laid back, but when it comes to important events such as 1v1's and NWL everyone is to be on point and ready. 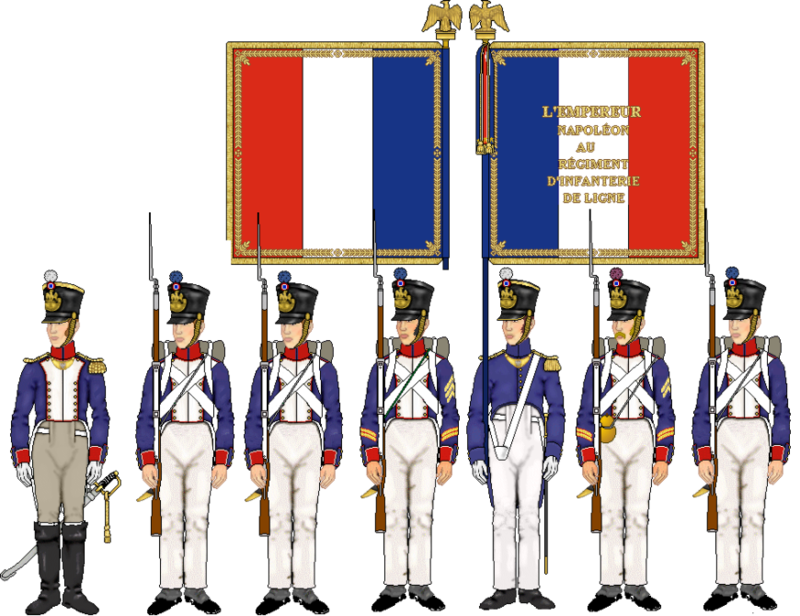 18e Regiment d'Infanterie de Ligne "The Brave"
Napoleon's decree of 1811 entitled only five of the 88 active French line infantry regiments to display seven battle honors on the reverse of their tricolore flags. The 18e Regiment d'Infanterie de Ligne was one of the units so honored. As early as the campaign of 1796-97, the 18th Line's stalwart fighting qualities were noticed by the future Emperor of the French. At that time, Napoleon allowed the regiment to place the slogan "Brave 18th, I know you: No enemy can resist you" on their flag. This distinction marked the beginning of an illustrious and tragic regimental history. The 18th Line participated in the encirclement and capitulation of Ulm on 20 October 1805 as a part of Victor Levasseur's brigade in Claude Legrand's 3rd Division, IV Corps d'Armee commanded by Marshal Nicolas Soult. On 2 December the regiment was heavily engaged on the field of Austerlitz. The 18th and 75th Line held the Pheasantry and the north part of the village of Sokolnitz, key to the French right flank, against overwhelming numbers of Russians and Austrians from the Allied Second and Third Columns. In his report, colonel Vautre of the 18th credited his regiment with "piercing the enemy columns three times", seizing five Russian flags and carrying off a like number of cannon. As a result of the 1805 campaign, the 18th Line won its first (Ulm) and second (Austerlitz) battle honors. This is the list of ranks that you will come into contact with during your time in the 18e. Colonel - Col - This rank is for the leader of the regiment! It is also that rank nobody will get! Commandant - Cmdt - The Colonel's right hand man, You are expected to do the same as the Colonel, to an extent. Chef de Battalion - CdB - 3rd in command of the regiment. You will handle most affairs that the Colonel does not need to. Captaine - Cpt - You are the leader of your own company now. This give you alot of responsibility. Lieutenant - Lt - You are a mid ranged officer. One who has a good amount of experience and has shown he has the capabilites to take over when needed! 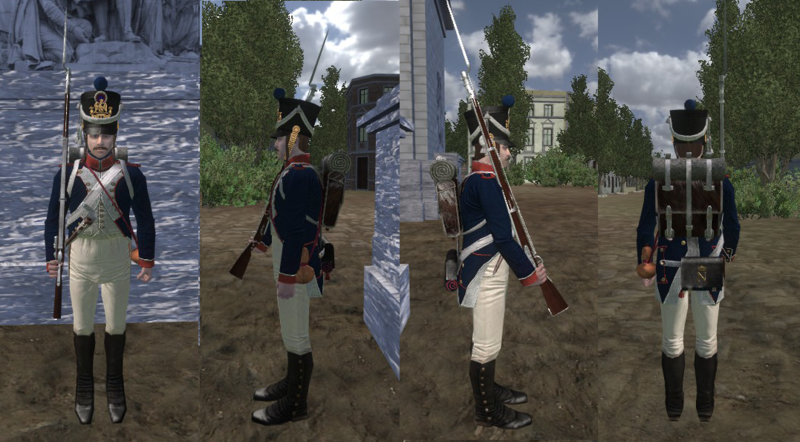 Sous Lieutenant - SLt - The first officer rank, Shows you are an officer in training. Adjutant Chef - AdjCf - This rank is given to those hoping off becoming an officer, You will be given alot of responsibility, Handling those jobs that the officer cannot. Adjutant - Adj - The rank given to the best in the regiment. The one man that can melee and lead who isnt an officer. A true role model! Sergent-Major - SgtMaj - The rankers look towards you for advice and teachings in how the regiment works aswell as melee advice. Sergent - Sgt - The first of the NCO ranks, You have shown yourself a good player that can help the Sgt's teach others whilst keeping peace in the line. Caporal-Fourrier-Premier - CplFoP - You have shown yourself capable, and you are one of the best, if not the best in the regiment at melee. Caporal-Fourrier - CplFo - A rank given only to those who are good at melee or have shown their worth topping the leaderboards of every linebattle! Train hard for this. Caporal - Cpl - You are now a Cpl, You have shown good skill to be here. Soldat de Première - SoP - Your a step higher than the other rankers, You have shown dedication and skill towards the regiment! Soldat de Deuxième - SoD - Your amongst the main body of the regiment, do it proud! Cadet - Cad - The basic starting rank, If your here then your just new to the regiment! Expect a promotion after attending 3-4 events. Flu - A musician who plays his tunes when needed. http://18eligne.beyond-servers.com/index.php - This way is preferred. If you would like to challenge the 18e to a competitive battle, click on the Steam logo at the bottom of the page, and add the profile it links to on steam. With thanks to Merfie [John Fiennes] from the 3rd for the base of the thread for me to use. 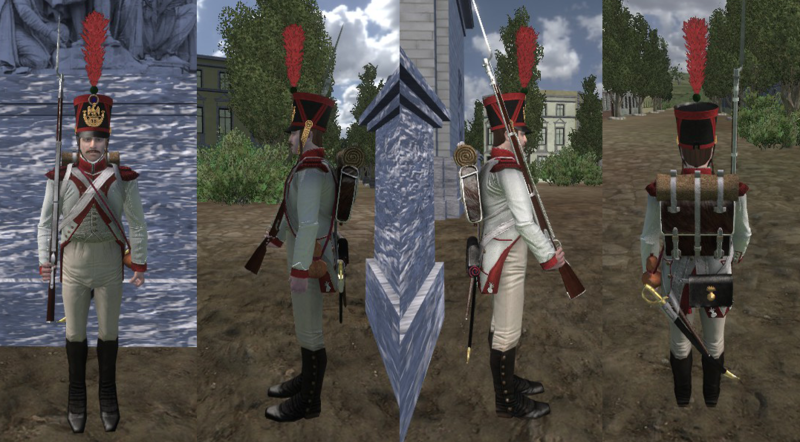 Price has made a mod pack that retextures the 45e to the 18e Regiment d'Infanterie. This also changes the 84e to the 18e Grenadier Company with White Coats. Thanks to our Good friend Griff off the Nr3 Hussars for making these. They are simply brilliant! You will find screenshots down bellow. The mod pack also changes your in-game sounds to something alot better, aswell as your reticule to something easier and better to aim with. You dont have to install all of it if you donw want to. They are in seperate folders. Download link for the pack: Click Meh! 8te Topping scoreboard at a 3v3! 8te Topping our first event we hosted! 79th pls stop chasing us! 29 for NWL! I only told 20 to show up.. Looking for someone to give me a hand with a thread. I have basic materials but threading is not my strongest point. Izzdaer is Love, Izzdaer is Life. Thanks for the good lucks etc. I know i said i wasn't going to make another regiment. Thanks the both of you You were a scrub at the event today, Peter. Pikey'd the thread from an old regiment. I will update it with a self made one later.